If you are looking for a private Costa Rica getaway with beach access, exquisite ocean views, and quiet spacious garden, do not look further. If you appreciate impeccable craftsmanship with local materials and attention to every detail, you will find that Diosa del Mar feels like home the moment you step through the door. This extraordinary beachfront estate is a rare masterpiece in architecture and interior design, and includes every luxury imaginable. The sumptuous decor has been customized with some finest art, creating a true beachfront palace. Diosa del Mar is located in the quiet and gorgeous beach village of Playa Junquillal and is entirely private. Diosa del Mar is a dramatic vision at night, as seen from the edge of the 60 foot luxury infinity-edge pool. A tropical garden of some 21.000 ft2 also forms part of the property at the end of which sits the beautiful beach. Diosa del Mar is a luxury house “on the water” as 90% of the rooms have a sea view. The homeowners created the embodiment of tropical opulence, and complement the amazing views of the Pacific, and the surfing beach Playa Negra. This surfing famous spot (Playa Negra) is just a 5-minute drive from the villa. With private beach access and close proximity to excursions, restaurants, and bars, Diosa del Mar provides the ideal backdrop for your most memorable Costa Rican vacation. An 24/7 Onsite Manager will be dedicated to your every needs during your whole stay and will personally assist you to maximize your vacations, advising you on tours & activities. Our staff is also composed by a housekeeper, a security guard & a gardener that work daily. We offer many additional services not mentioned here. Get in touch with us to receive a detailed information ! We are Patrick & Valérie, happy owners, artists and designers of luxury homes in Costa Rica. You are in need of the perfect getaway of your vacations ? 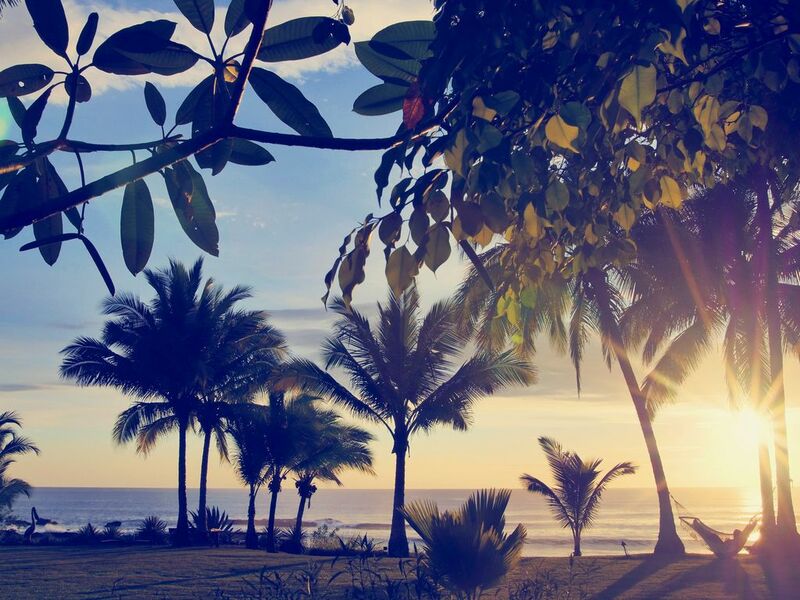 Escape to our wonderful Costa Rica and live memorable instants in our luxury dream villas ! Three villas, three personalities, we especially designed for you, nestled in two different atmospheres, from the colorful seaside town of Tamarindo to the amazing deserted beaches & wild surroundings of Playa Junquillal. Wherever will be your choice, don't be afraid take the step & be prepared to live a great Adventure with us ! We will come again, again and again ! This trip met all of our expectations for myself and the rest of the guests. The accommodations and daily staff, from the house keepers and pool service to the ever present but very much in the background, Petra was everything I had hoped for and more. Petra consistently provided results to anything we wanted. Restaurants including reservations, zip lining, sailing and deep sea fishing. The house itself is fully equipped, each bedroom having its own bathroom, the main living area is outdoors but well covered. We were able to hook up our laptop to the TV and watch the Minnesota Wild 2 playoff games while we were there. I would recommend this place to anyone, you will not be disappointed. I cannot say enough about this lovely property. We spent two weeks here with our two teenage children and both sets of grandparents on Spring Break. The Villa is beautiful and the grounds breathtaking. The pictures do not do this property justice. Valerie was a pleasure to deal with and the concierge, Petra, was absolutely wonderful. She took care of everything from arranging to have us picked up and dropped off at the airport to booking our rental cars (a must!). She booked all of our excursions and was there at our beck and call whenever we needed her. Laura and Roger took very good care of us as well. We had a lovely goodbye dinner cooked by Sybil (don’t wait for the last night to do this!). I wish we had done more dinners like this. Was most definitely worth it. I hope to return someday and highly recommend this property. You won’t be disappointed.